ProGuard Preserved Wood is pressure treated with a copper-based preservative for long-term performance outdoors in landscaping. 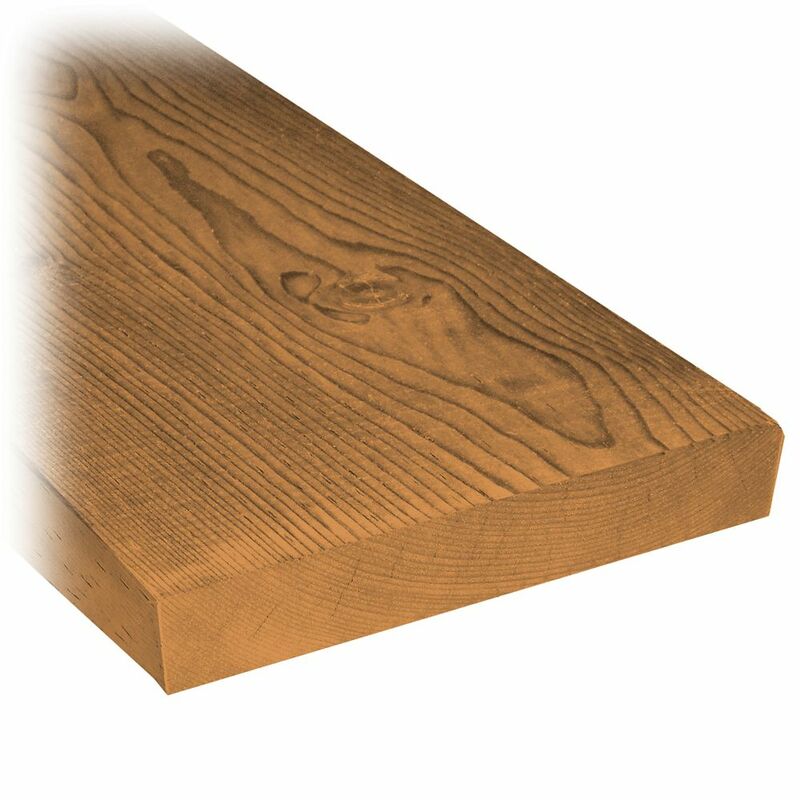 4x6 are manufactured from high quality lumber and preservative treated to ground contact standards. 2 x 10 x 10' Treated Wood MicroPro Sienna Treated Wood uses the only wood preservative technology that is low VOC and certified as an Environmentally Preferable Product. Innovative colour pigment technology gives the treated wood a warm, finished look. 2 x 10 x 10' Treated Wood is rated 4.0 out of 5 by 1. Rated 4 out of 5 by Stargait2000 from Very Durable! I purchased the brown treated 2x10x10 boards to finish the top of my deck. Previously we had vinyl deck top but found it very slippery in the winter. Adding this flooring to my deck made it feel so much more solid and the brown treated wood will last for years.